Hollywood has produced many iconic locations in its hundred years of film, and many of those locations happen to be fictional bars. As this writer is turning 21, it feels like the appropriate time to pay tribute to these now iconic gin joints. From your own Earthly backyard to galaxies far, far away, here are Hollywood’s top ten fictional bars in film. Maybe it’s bad to speak about Paul Reubens? Maybe it’s okay again since Netflix produced another Pee-Wee movie a few years back. None the less, this fictional bar deserves its #10 spot on the list. The Biker Bar is set to one of the film’s, and the character’s, most iconic scenes. Having knocked over the motorcycle of every Satan’s Helper, Pee-Wee makes a last-ditch attempt to save his life. Naturally, he turns to dancing all over the fictional bar. 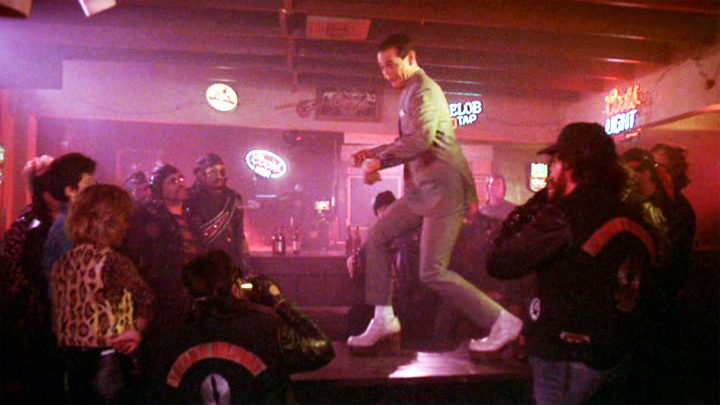 In this scene, Pee-Wee Herman danced his way into our hearts, and the Biker Bar danced its way into icon status. Not only is this is a pivotal scene in Quentin Tarantino’s alternative history drama, but it is one of the most iconic. The fictional bar itself is a hot spot for Nazi officers, and becomes part of a sting operation for the Basterds. However, in typically Tarantino fashion, this sting ends up bloody. If you learn anything from this fictional bar, remember to always use the proper sign for “three” when going abroad. Marion Ravenwood is almost as tough as Dr. Jones himself. In a sea of lackluster and wimpy female leads, Marion breaks the mold alongside the likes of Princess Leia and Ripley. This fictional, Nepalese bar debuts the character as she out-drinks her patrons, barely breaking a sweat. Unfortunately, the Nazis come knocking soon after, and their interest is much more destructive in nature. Although, the fact that neither Marion or her patrons never drunkenly burned this bar down before is a miracle. Odds are, you haven’t seen Logan Lucky. If that’s the case, then you are greatly missing out . Steven Soderbergh’s last film before retirement is a delightful hillbilly heist, that is well-rounded by its usually un-comedic cast. A highlight of the film is Adam Driver, playing a one-armed veteran who owns and tends the local bar, Duck Tape. 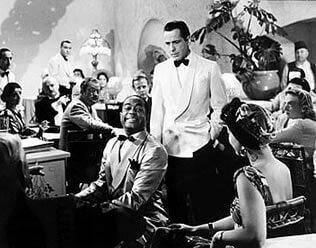 While this fictional bar isn’t a major set for the film, it does have several key scenes that help round out its characters. And frankly, these scenes are just downright entertaining. Adam Driver, Channing Tatum, and Seth MacFarlane land this fictional bar on the top ten list. The Blues Brothers follows brothers Jake and Elroy Blues as they attempt to get their band back together. The Blues Brothers are a blues rock band with a rap sheet, which makes their decision to masquerade as a country band quite hilarious. The gang finds themselves at Bob’s Country Bunker as they attempt to earn some quick cash and get their name back in the spotlight. Being a blues rock band, they know very few country songs; which is why Bob’s Country Bunker is treated to Rawhide for the entire set. This fictional bar sure is a hoot. The scene that made Kingsman famous takes place at the Black Prince. 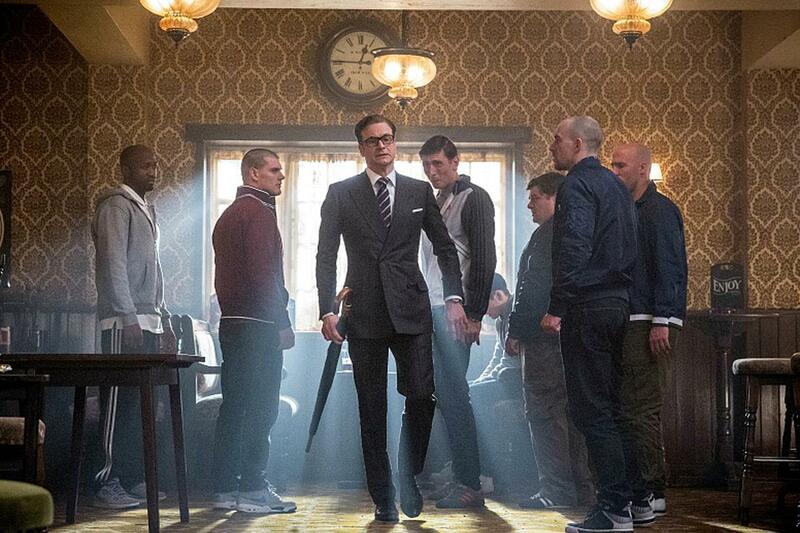 Harry Hart reveals himself to be more than he appears as he takes on Eggsy’s antagonists. Come on, you’ve already started playing this scene over in your head. If only the street punks had let Agent Galahad finish his lovely pint of Guinness, then perhaps they could have saved themselves several stab wounds, concussions, and bone breakages. Shaun of the Dead is a rom-com gem. A great chunk of the film revolves around Shaun and Ed’s obsession with the local pub, the Winchester. This is to the chagrin of Shaun’s girlfriend, Liz. As one undead thing leads to another, Shaun and co end up fighting for their lives within the polished brown walls of the Winchester. Samwise Gamgee meets the love of his life at this pub. Pippen and Merry practically worship this pub. It’s the happeningest place in the whole of Hobbiton and perhaps even Middle Earth. Catch breakfast, second breakfast, elevenses, luncheon, afternoon tea, supper, or dinner with your fellowship there any day of the week. 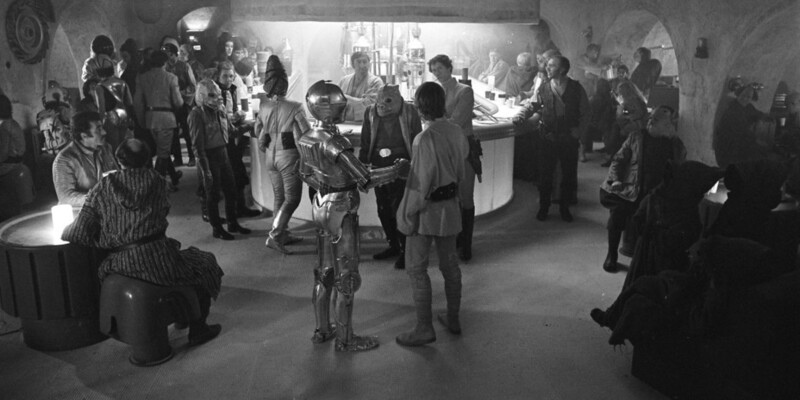 If you’re cashing in on a bounty, hiding, or looking to escape the Empire, the Mos Eisley Cantina is the place for you. It’s noisy atmosphere and the apathy of its patrons ensures that the Cantina will serve even the most dastardly of your plans. It’s the most iconic place to take shots (both the laser kind and the beverage kind) in a galaxy far, far away. Just keep your distance from anyone that has a death sentence on more than twelve systems. Thank you for reading! 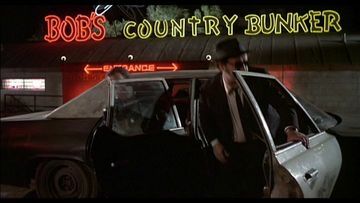 What are your thoughts on best fictional bars in film? Comment down below! Good, eclectic list. I’m partial to “Tombstone,” so I like The Oriental as well. Great post, great pubs, shame butterbeer isn’t in the same league! Bob’s Country Bunker by a country mile! !